I am never leaving Berlin in January again. I am never leaving Berlin in January again. I am never leaving Berlin in January again. This is my new mantra. This is the second year in a row I thought sunny California would be better than snowy Berlin, until I received dozens of messages about Fashion Week parties and realized that no matter the weather conditions, I’d rather be in Germany than eating gluten-free scones in yoga attire. Enough with the rant. I’ve been asked a lot recently about what I see happening in the Berlin Startup Scene in 2015. If you read my Q1, Q2, or Q3 funding analysis (FYI – a 2014 Funding Recap will be published February 3rd) you know that when it comes to the Berlin Startup Scene, Ecommerce is king. According to the Verband der deutschen Internetwirtschaft (Association of the German Internet Industry), 53% of German GDP generated in 2017 will be e-commerce related, compared to 37% in 2012. This, combined with the fact that Berlin is still cheap enough to house designers and artists, makes me think that this year we will see the wearable market explode. We also finally have someone pulling the scene together. Lisa Lang, founder of ElektroCouture, is doing a smash up job pulling makers, designers, and techies together. If you are looking to partner with technology brands and fashion designers or bring your vision to life, she is the woman to contact. Fashion Week is in full swing. As I’m writing this Berlin It Girl (and fellow Californian) Carrie Wick is at the Tommy Hilfiger opening for Fashion Week where, apparently, they are handing out beautiful custom perfume oil. The Decoded Fashion Meetup just wrapped up. If you missed it, keep an eye on their site, as they have several meetups a year in Berlin, London, and New York. Also this week, the Hundert released their fourth issue. They brought together 100 of the most significant fashion labels and dressed up 100 Berlin Founders. The results are gorgeous. 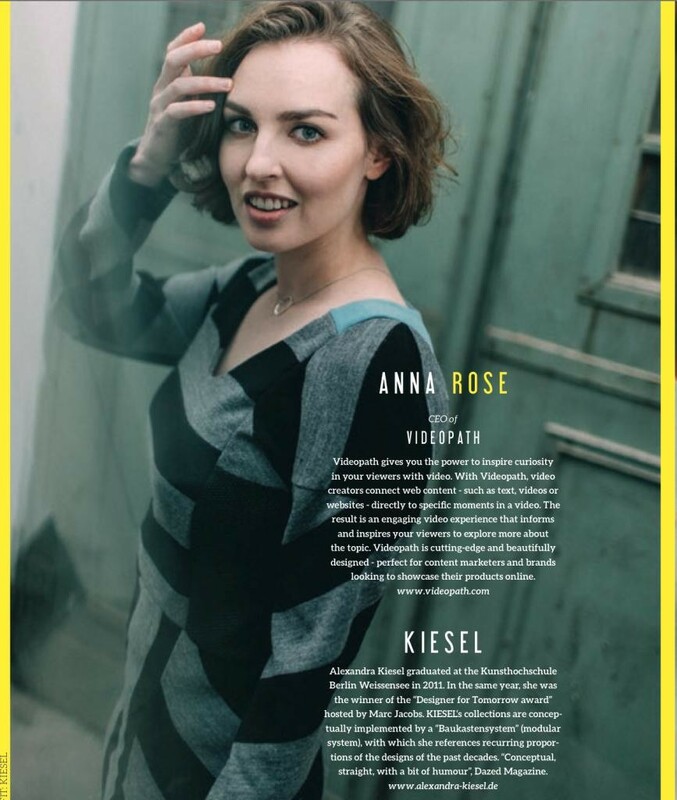 Here is a list of Berlin Fashion startups and the photo of my favorite founder featured, Anna Rose from Videopath. Check out the 99 other founders and a list of all the fashion startups in Berlin by downloading the entire issue here. In 2015, I’d like to write more about fashion and tech, specifically well-designed wearables. 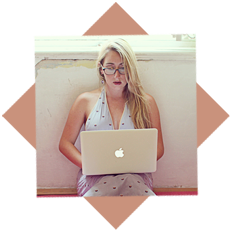 If you are working on a project in this space please contact me at kalie@kaliemoore.com. FOMO is a very real thing.